CAMEROON’s 50th REUNIFICATION ANNIVERSARY: Preparations heighten ahead of celebrations. Preparations for the long awaited Golden Jubilee of Cameroon’s Reunification have gotten into high gear, as the historic town of Buea gets set to welcome dignitaries from within and without, for the anniversary celebration of the permanent fusion of former West Cameroon and East Cameroon on October 1, 1961. But for the Reunification Monument, and the Open Air Amphi to host the cultural manifestations, all shows green light as work is completed by 80%. Work in Buea, which has soaked in over FCFA 30 billion for face-lifting projects; make the place ready for the commemoration’s sparkle, according to South West Governor, Bernard Okalia Bilai. Speaking after a three-hour regional local planning committee meeting on November 26, he was confident that Buea will host the celebrations billed for this year. Committee meetings have been taking place, to make provision for the expected 30.000 visitors to the town of legendary hospitality: BUEA, where it all started. Over in the nation’s capital, Yaounde, it was the turn of elites of the Manyu division of the South West Region, to converge in their cultural hall and systematize their own contributions for the national celebration. On Friday November 22, 2013, the Minister of Youth Affairs and Civic Education, Bidoung Mkpatt, was in Buea, to assess march past rehearsals for the celebrations as well as chair the second preparatory meeting for the civilian march past. 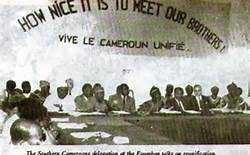 Even as elites of the host region, as well Cameroonians in general are keyed up about the long-awaited commemoration, the actual date for the fruition of their entire bustle remains unknown. WOBBLY PRESS FREEDOM IN CAMEROON? The recent suspension of two local newspapers in Cameroon, have sparked up questions, as to the nation’s regard for freedom of the press. Last Thursday, November 21, the National Communication Council (NCC), the media watchdog in Cameroon handed down to The Guardian Post and Ouest Littoral, three months suspension from publication, for the papers as well as for their publishers. According to the media supervisory body, the papers were found lacking in “ethics and professional conduct”, and charged with using derogatory words against personalities, who have complained to the NCC. The NCC decision has sparked up a wave of bitterness amongst local publishers and editors, who among others say they doubt the process that led to the taking of the decision. 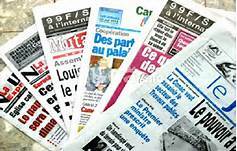 As per a communiqué, Cameroon newspaper publishers on Wednesday November 27, 2013 in Yaoundé demanded the sanctions be “uplifted immediately and unconditionally”. The NCC on her part stands its ground to say she is out for utmost respect of professional ethics by the media in Cameroon. After gaining regulatory rights in 2012, the council, moved from an observatory body to a “sanctioning” one. Earlier on in September, it handed down sanctions on some papers, for their lack of professional ethics and conduct, amongst them The Guardian Post which very recently gave a face-lift after its two-month suspension. And if it is, I wish and pray that I and Mine don’t die. For every water trough we filled just ended up a-dry. I make the grass to grow and sure I own your every farm. Fear not, He said, I am for you, and none would do you harm“. 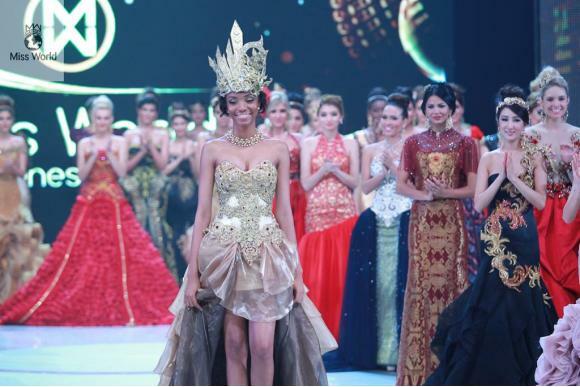 Cameroonian contestant, Denis Valerie Ayena, has secured a place for the Miss World contest, due to take place on September 28, 2013. 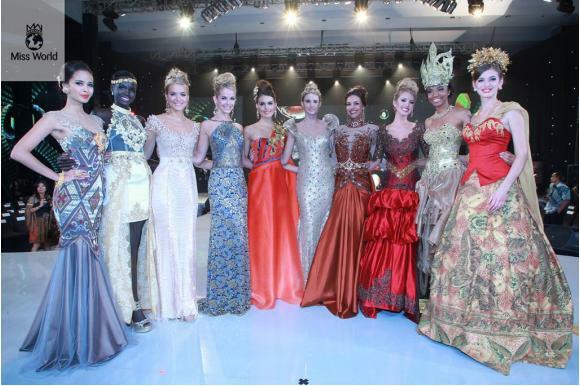 Of 127 contestants, 10 top model finalists were chosen last September 24, to compete for the prestigious title of the world’s most beautiful woman. Competing with beauty queens from Ukraine, South Sudan, Brazil, Phillippines, France, Cyprus, England,Italy and the United States, Denise stands a chance of returning from Indonesia, with a title, not yet amassed by any Cameroonian: Miss World 2013. ” Your Mess and your Age, will give you a MESSAGE“.